Enter Tate Tanley. What happened between them the night before she left town resurfaces the second they lay eyes on each other. But the guy she remembers has been replaced by a total hottie. 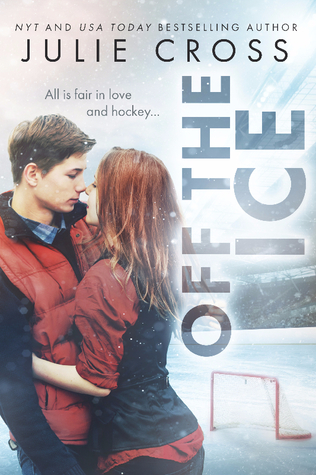 When Tate is unexpectedly called in to take over for the hockey team’s star goalie, suddenly he’s in the spotlight and on his way to becoming just another egotistical varsity hockey player. And Claire’s sworn off Juniper Falls hockey players for good. It’s the absolute worst time to fall in love. For Tate and Claire, hockey isn’t just a game. And they both might not survive a body check to the heart. First off, we are so happy and grateful we were chosen for the Off the Ice tour. I really enjoyed this one quite a bit. From the cover (which I think accurately depicts what Tate and Claire look like) to the synopsis, I checked this off as another fluffy, contemporary romance that would serve as a welcome reprieve to the heavier and more emotional books I've been reading. Boy was I wrong and I was pleasantly surprised! The story really got started about 10-15% of the way in for me but once I hit my stride, I just couldn't stop. The story quickly jumps to one year later. Now we've got a more grown up, rougher-around-the-edges Tate, who has become a varsity goalie in the shadow of his old man's glory. And we've got Claire, who's come back to Juniper Falls to care for her ailing father and her family's bar. Both are going through their own sets of trials and tribulations but that perhaps, is what helps them bring them closer. And I got some serious butterflies with these two. I tend to enjoy small-town adult romances from authors such as Jill Shalvis and Debbie Macomber and this felt like the young adult version of those types of books. Especially with a town named Juniper Falls. It sounds so cozy yet you know there's probably a hundred hidden secrets to be told because what else is there to do in a small town that loves its hockey and is covered in snow for most of winter. This one perfectly blended the small-town family and community drama feel with the romance, even ones I found myself surprised by. Because that was another thing, even though some of the supporting cast of characters didn't play major roles in the story, I still got the distinct personalities from each and I can see either one of them getting their own spin-off story. I adored Tate. I adored Claire. Overall, I truly delighted in this gem of a novel. I highly recommend this one. Julie Cross is a NYT and USA Today bestselling author of New Adult and Young Adult fiction, including the Tempest series, a young adult science fiction trilogy which includes Tempest, Vortex, Timestorm (St. Martin's Press). She's also the author of Letters to Nowhere series, Whatever Life Throws at You, Third Degree, Halfway Perfect, and many more to come! Julie lives in Central Illinois with her husband and three children. She's a former gymnast, longtime gymnastics fan, coach, and former Gymnastics Program Director with the YMCA. 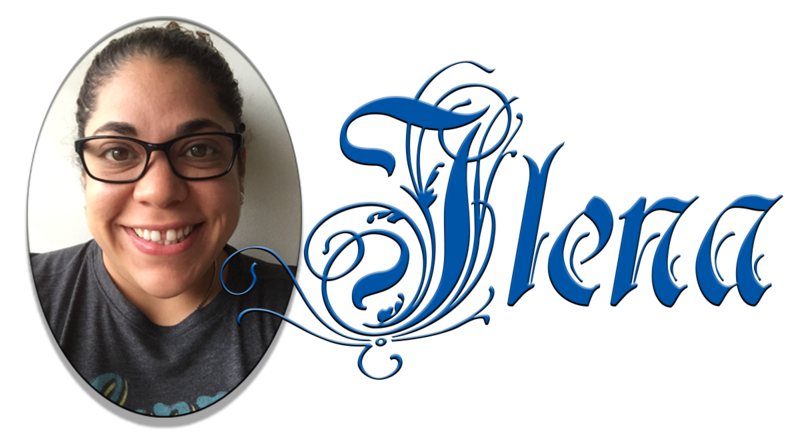 She's a lover of books, devouring several novels a week, especially in the young adult and new adult genres. Outside of her reading and writing credibility's, Julie Cross is a committed--but not talented--long distance runner, creator of imaginary beach vacations, Midwest bipolar weather survivor, expired CPR certification card holder, as well as a ponytail and gym shoe addict. I thought this book was super cute, but what I thought was done quite nicely, was the bromance. Great review! Thanks Sam! And you are absolutely right!